Here in the theatre we go above and beyond to embody our characters and bring them to life for you. In this clip you will see the full transformation of the tremendous John Massey as he becomes the character we have all come to love! 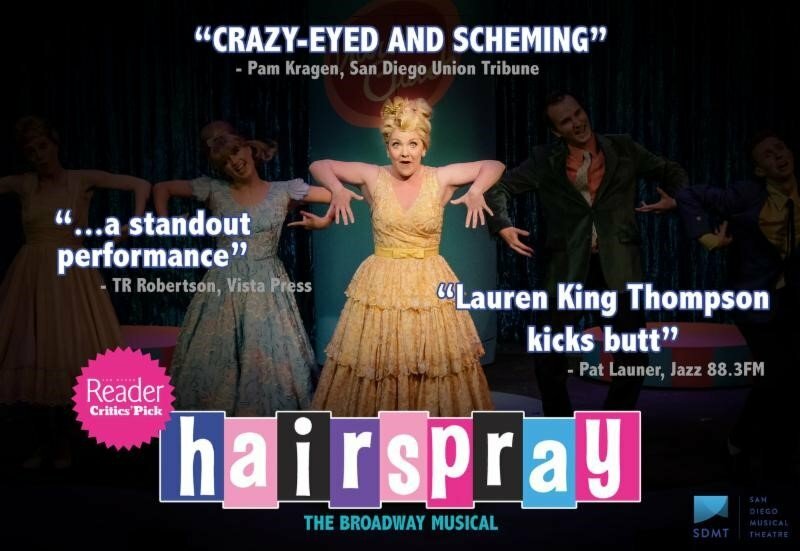 How did you get into photography and videography how did you come to be with San Diego Musical Theatre? …I’ve been involved in photography and video since high school, when I would spend my afternoons in the dark room, under a red light surrounded by the sweet smell of chemicals. Whether it was photography, videography, painting or sculpture it was art, or even the idea of a representational image that has drawn me in. San Diego Musical Theatre first hired me to do video for their Christmas show, White Christmas at the Birch North Park Theatre after I had been doing work at the Old Globe for years. Guarantee your favorite dates and seats. Exchange to a date and seat of equal value or upgrade with no hassle with 48 hours notice. Become part of the family! Be the first to know our season, buy holiday tickets, and hear special announcements! Click Here To Subscribe And Save!! 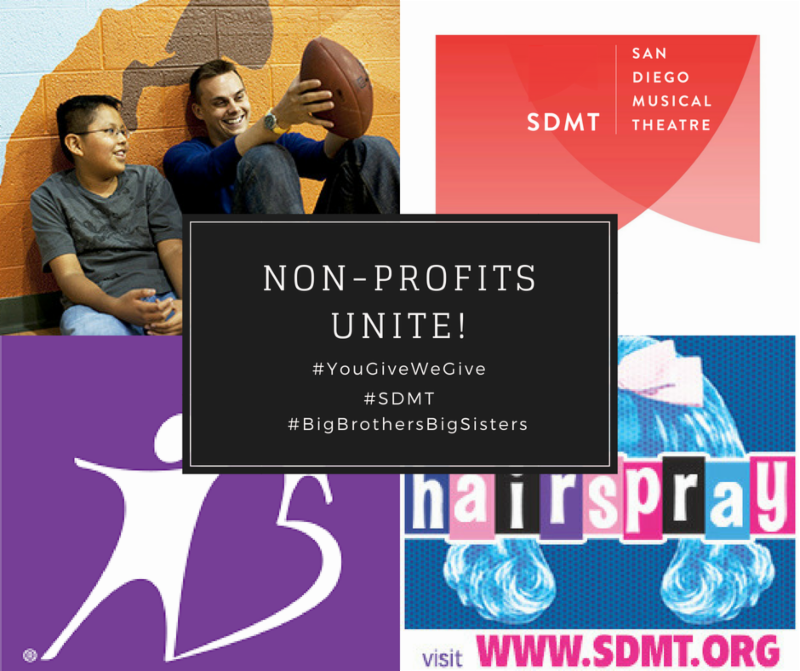 In 2015, SDMT launched the You Give. We Give. campaign to connect us and our audiences to bigger issues within our community. Through this campaign we can raise awareness and support for other local non-profits. 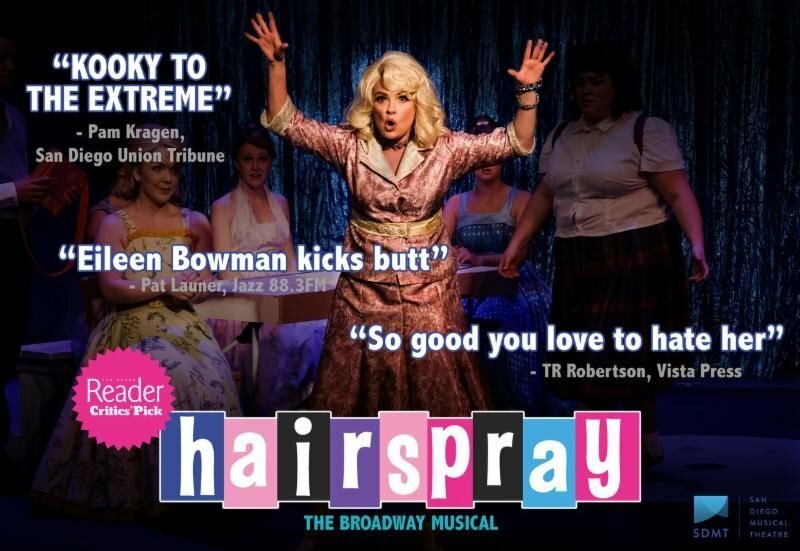 When you attend Hairspray you will have the opportunity to donate to our production partner, the Big Brothers Big Sisters of San Diego. 10% of all the donations during the show will go to our non- profit partner.